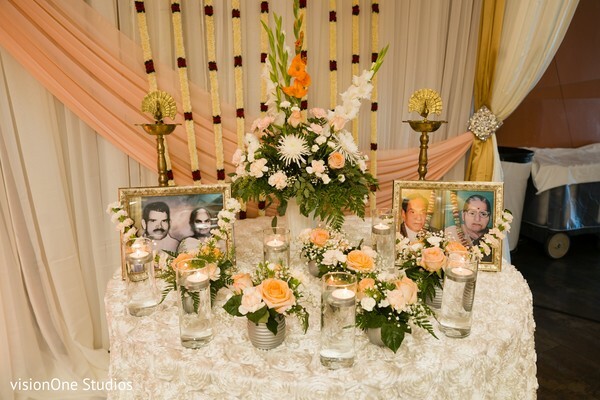 Today we put together a charming feature that allows us to meet a sweet couple that shines with adoration! 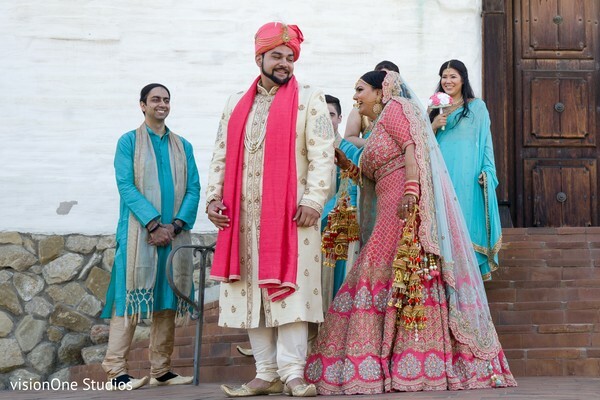 Eakta and Rahul are the lucky ones who tied the knot in a beautiful big Indian wedding that was captured from start to finish by VisionOne Studios! 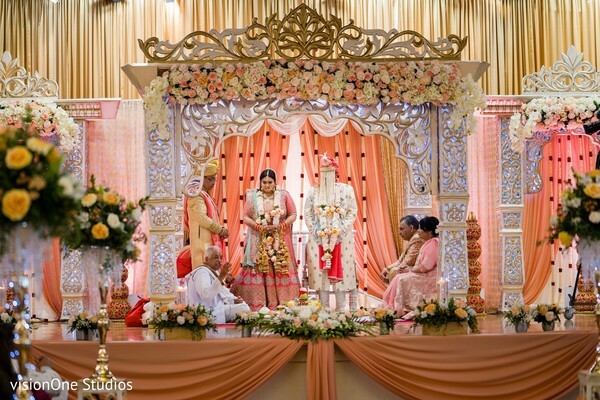 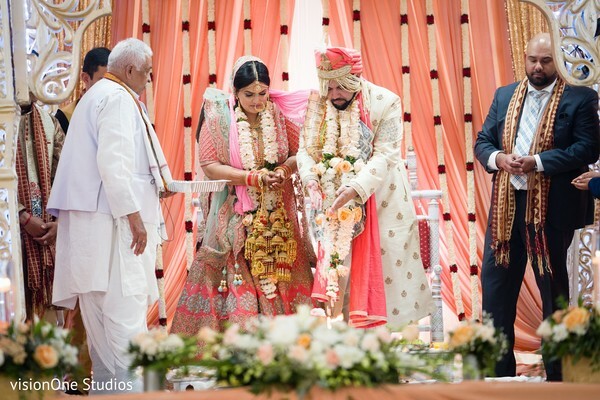 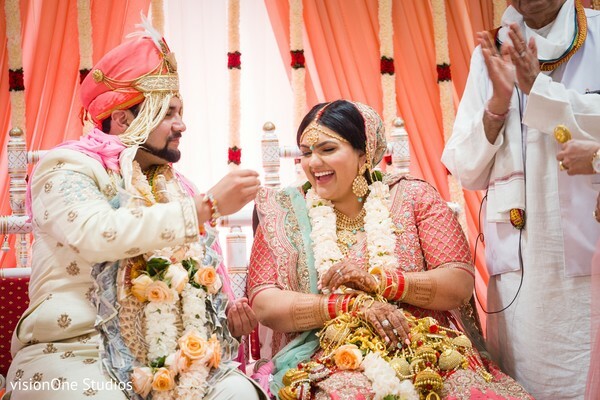 The adorable images take us through their wedding journey, starting at the Aria Dining & Banquets where a vibrant Sangeet helped to set up the celebratory state for both families to the splendid ceremony at the Indian Community Center! 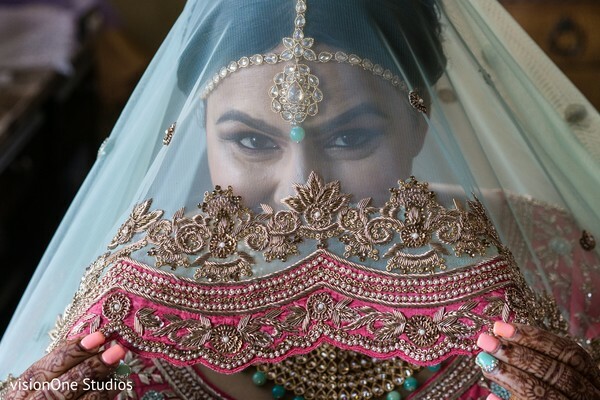 Our lovely Indian beauty, Eakta was a true stunner thanks to the dreamy updo and makeup that the beauty pro TM's Makeup Artistry created on her, while her multi-layered Kaleere added a big touch of gold to her already wonderful look. 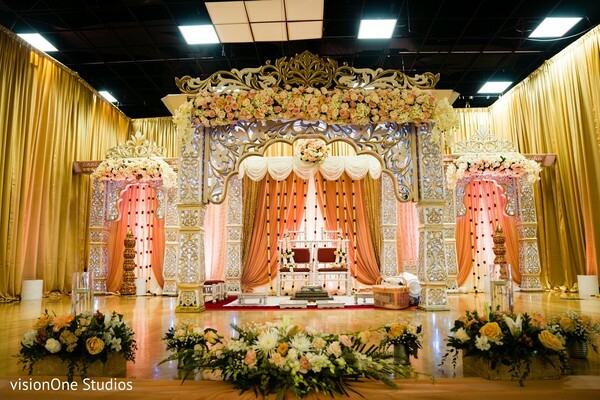 All the decorative grace and luxe was thanks to the creative crew from Eve Decor who festooned the hall with a sumptuous and elaborate white carved mandap. 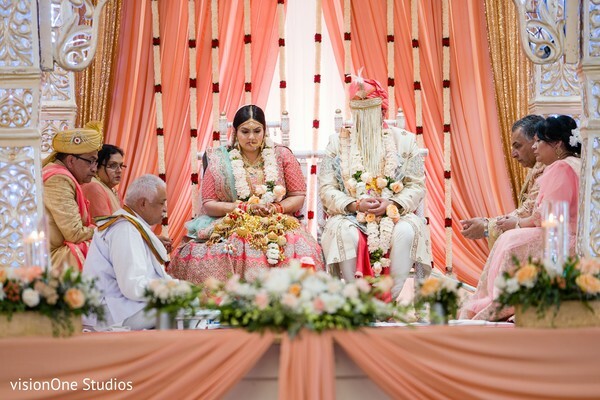 The flowers also reigned during the ceremony embellishing the scenery with peach, pink blush, and white colors. 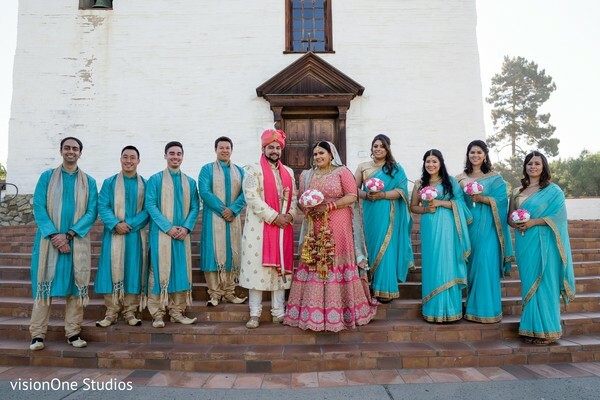 Our dapper Punjabi groom, Rahul flaunted the greatest currency garland I've ever seen and matched his bride's look with a hot pink scarf and turban! 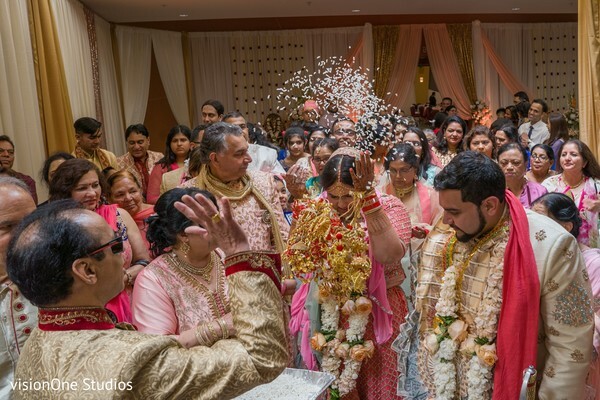 Check out Eakta and Rahul's full gallery for more pictures from their big affair! 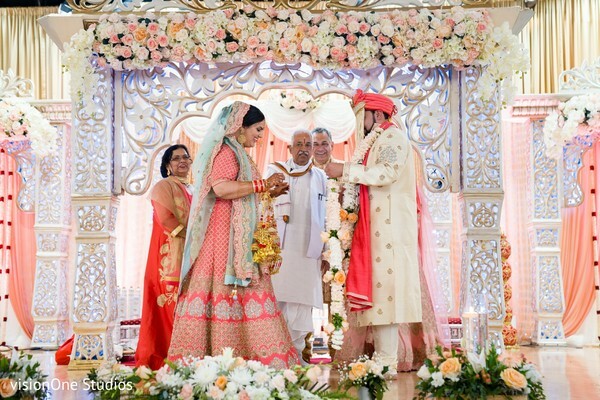 Come back for the second part of this sweet Punjabi wedding story!